Our multi-disciplinary pediatric clinic aims to support each child’s unique needs. We offer a friendly, welcoming environment to help all children reach their fullest potential. We are located at 2591 Compass Rd., Ste. 100, Glenview, IL 60026. See driving directions. If you or your pediatrician are uncertain if therapy addresses your child’s needs, we offer a 15-minute screening at no charge. A therapist will observe your child to determine if a comprehensive evaluation is required based on your child’s specific areas of development. Learn more about screenings. 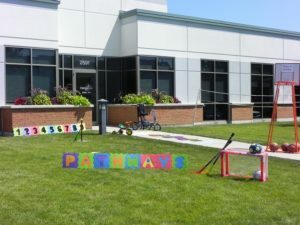 Pathways Center, 2591 Compass Road, Suite 100, Glenview, IL 60026 For more information call 1-847-729-6220 or email info@pathways.org.